Profiles > Alan Brinkley - eGuiders. We Search. You Watch. Alan Brinkley is a Professor of History at Columbia University and Chair of the Board of Trustees of The Century Foundation, a nonpartisan think-tank. He is the author of The End of Reform: New Deal Liberalism in Recession and War; The Unfinished Nation: A Concise History of the American People; and other works. 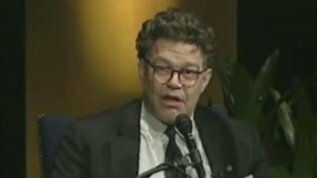 Politics doesn't get much funnier than this exchange between Ann Coulter and Senator-elect (we think) Al Franken. 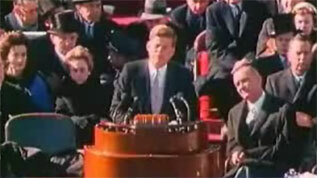 John Kennedy, unlike Roosevelt, became president at a moment in which American power in the world was perhaps at its highest point. His task in his Inaugural Address was to challenge a stable and content society to reach even higher.